Wyndall Dennis Alred of Geneva passed away on Tuesday, December 4, 2018. He was 62. Funeral services will be held at 7:00 p.m. on Friday, December 7, 2018 in the chapel of Pittman Funeral Home in Geneva with Rev. Gary Watson, officiating. The family will receive friends at the funeral home from 5:00 until 7:00 p.m on Friday. 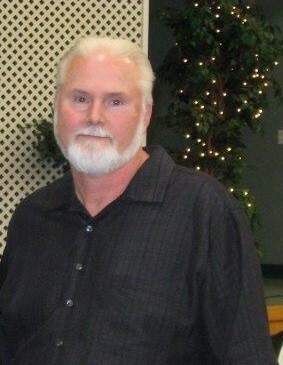 Mr. Alred was born in Geneva, AL on October 30, 1956, to the late, Jarow Carthell Alred and Sue Lynn Chalker Alred. Prior to his 2017 retirement, he worked at Reliable-Ruskin for forty-four years. In his pastime, Dennis enjoyed riding his motorcycles. He is survived by his wife, Victoria Lynn Alred; son, James Daniel Alred; three stepchildren, Alexander Hudson, Corey Trevino, and Shelby Trevino; brother, Ray Howell of Geneva; sister, Paulette Benroth of Geneva; two nephews, Jonathan and Josh Hall. Dennis loved his dogs, especially his beloved bulldog, Lacey.